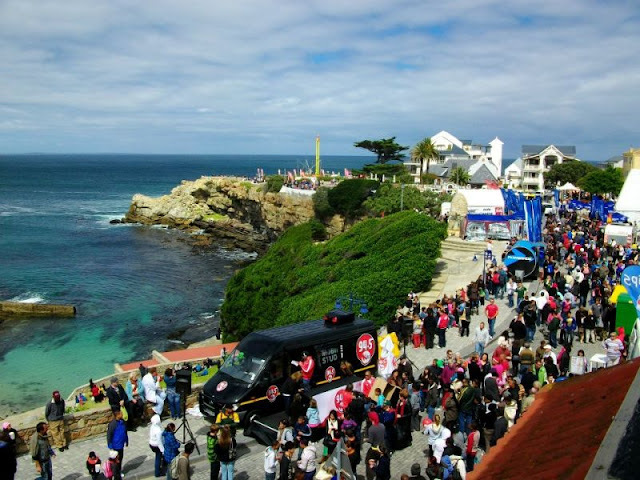 The only eco-marine festival in South Africa, situated near Africa’s southernmost tip, Hermanus has a front-row view of the Cape Whale Route. During migrating season, people flock to the clifftops to glimpse the endangered southern right whale. Given that it overlooks Walker Bay, into which 70 whales have squeezed, the town once took its blubber-related fortune for granted. In an attempt to formalize the clifftop viewing, it started its festival and introduced the Whale Crier. The world’s only such crier, his blasts on the kelp horn are coded to direct eager cetacean-spotters.